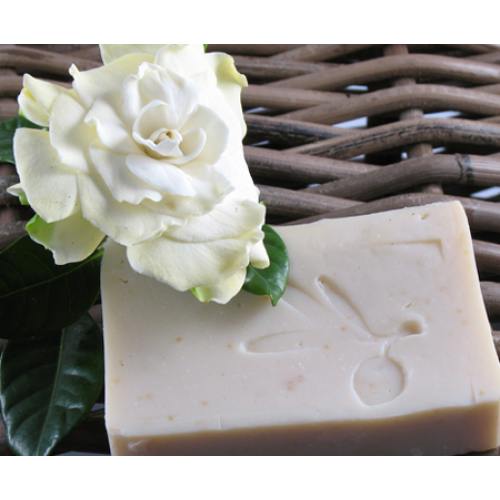 The world's most beautiful flower lends its magnificent fragrance to Chloelina Gardenia Castile soap. Deeply redolent of the tropical paradise from which the flowering shrub hails, we simply could not resist this true Gardenia fragrance. Lightly seductive, highly floral but not overbearing. Pair it with Chloelina Hand and Body Lotion for silky smooth skin and lingering fragrance. 4 ounce bar size. We think you will agree, this must be what Heaven smells like. Chloelina Gardenia Castile soap derives its fine, silken lather from pure olive oil.